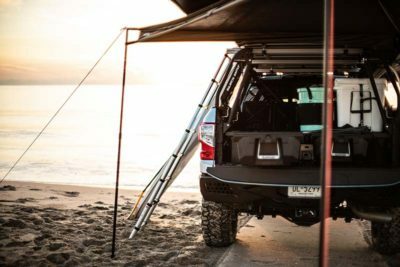 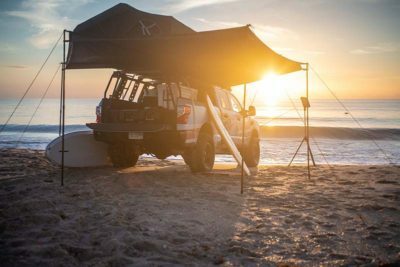 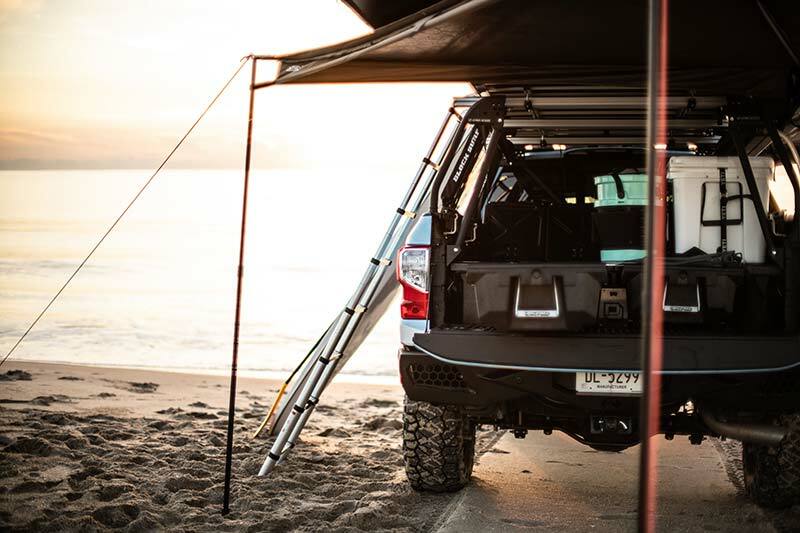 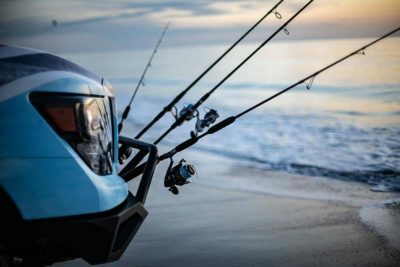 Nissan has unveiled the TITAN Surfcamp project vehicle which is an all-inclusive beach cruiser that boasts surfboards, paddleboards, fishing rods, a solar-powered shower and much more. 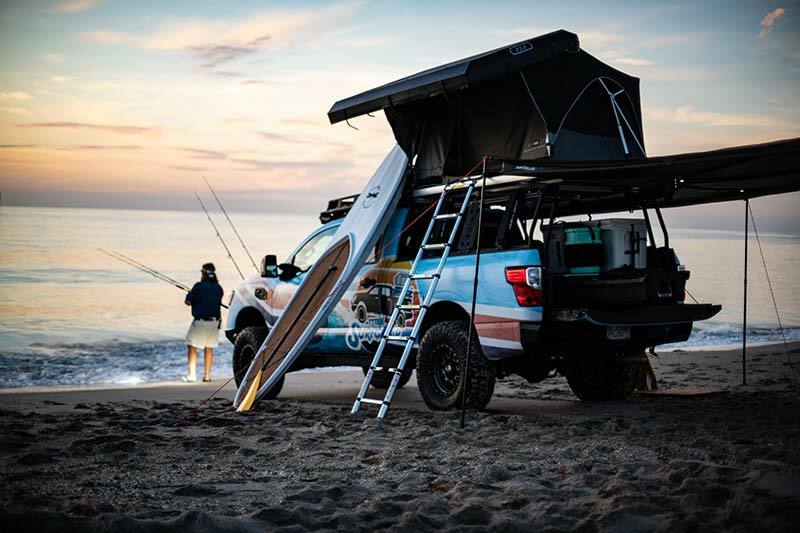 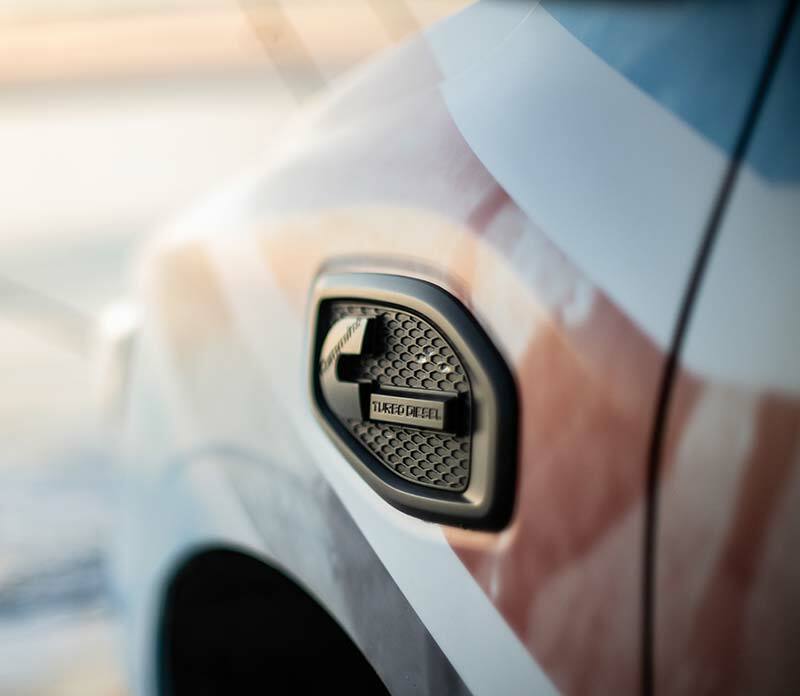 The truck is the latest in the TITAN adventure series of lifestyle-themed projects from Nissan which has seen vehicles such as the Smokin’ TITAN that was revealed earlier this year. The Surfcamp began life as a completely stock TITAN XD Diesel Midnight Edition Crew Cab truck with a heavy-duty ladder frame, Cummins 5.0L V8 turbo diesel engine and a roomy 5 passenger interior. 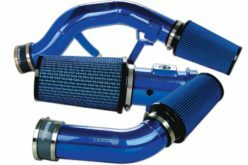 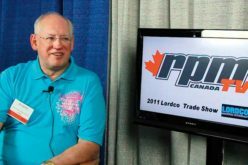 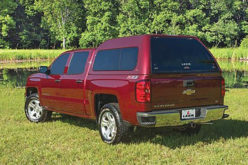 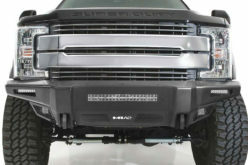 The first modifications to the truck were a factory-authorized ICON suspension lift kit, ICON Alpha wheels wrapped in Nitto Ridge Grappler tires and front end protection in the form of a Fab Four Vengeance Series front bumper. 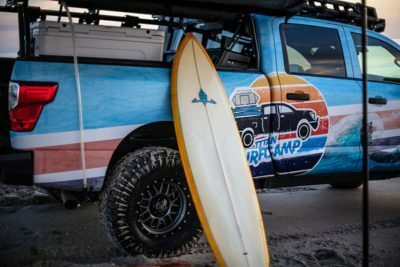 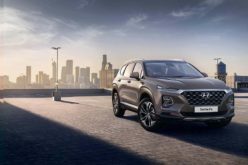 The exterior is matched to the paint of a 1967 Nissan Patrol and offers a retro colour scheme that is reminiscent of 190s and 1970s surf culture. Inside of the Surfcamp has been fitted with wetsuit-inspired seat covers and heavy-duty rubber floor mats which are perfect for dealing with sandy conditions. 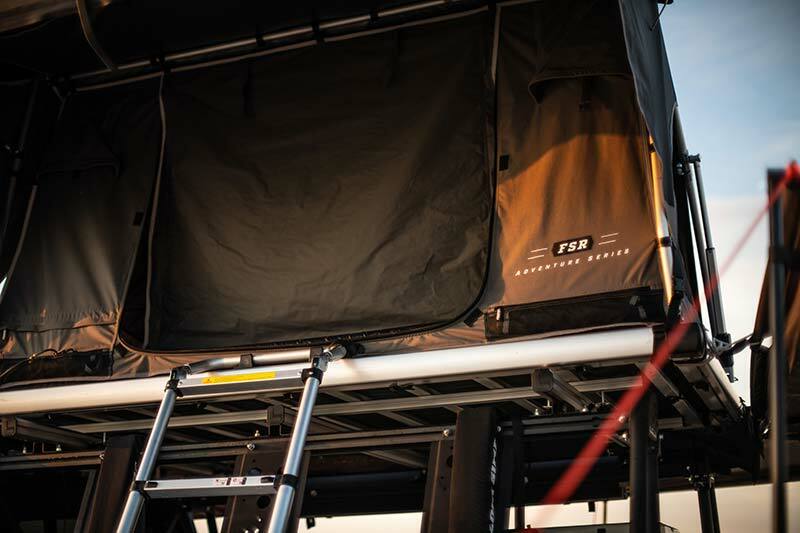 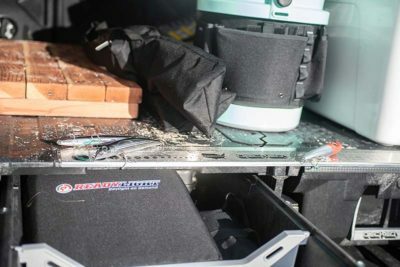 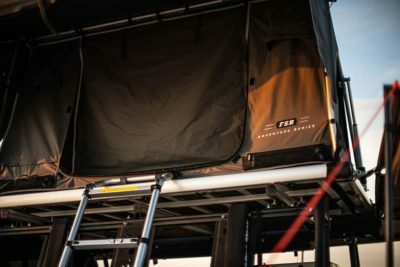 Builders utilized the TITAN’s Utili-track Bed Channel System to create storage for supplies such as wetsuits, fishing tackle and more with the help of a Decked bed drawer storage system. 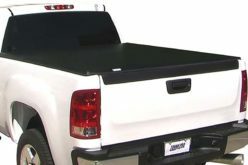 Additional storage is added on top with a Leitner Design cargo rack and a Rhino-Rack USA cab roof rack. 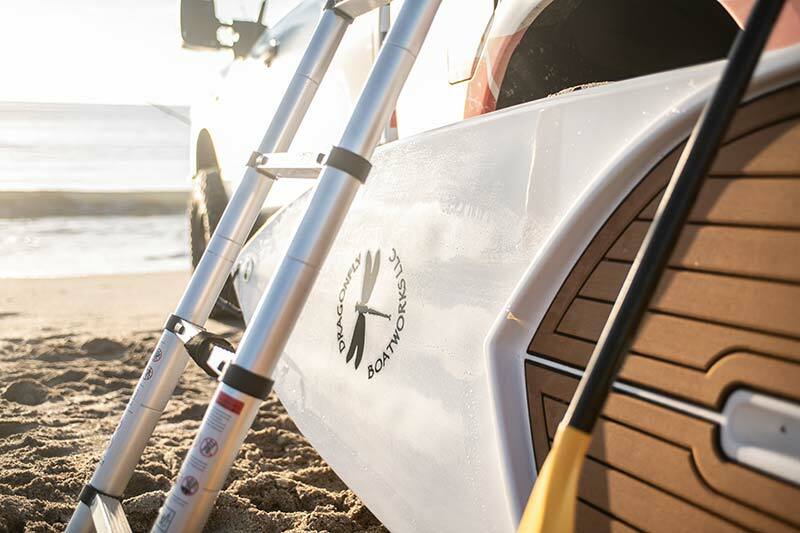 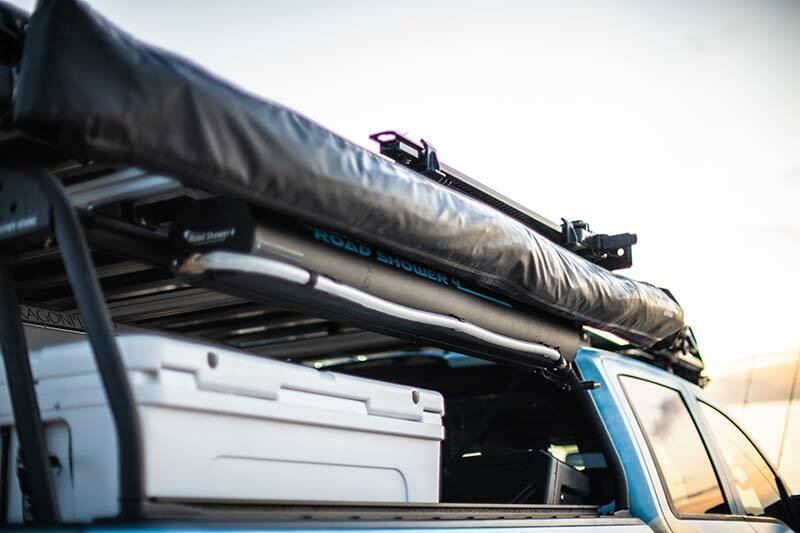 Also featured on the Surfcamp are a surfboard and stand-up paddleboard rack with additional space for fishing rods which can also be held by integrated rod holders in the bumper when in use. 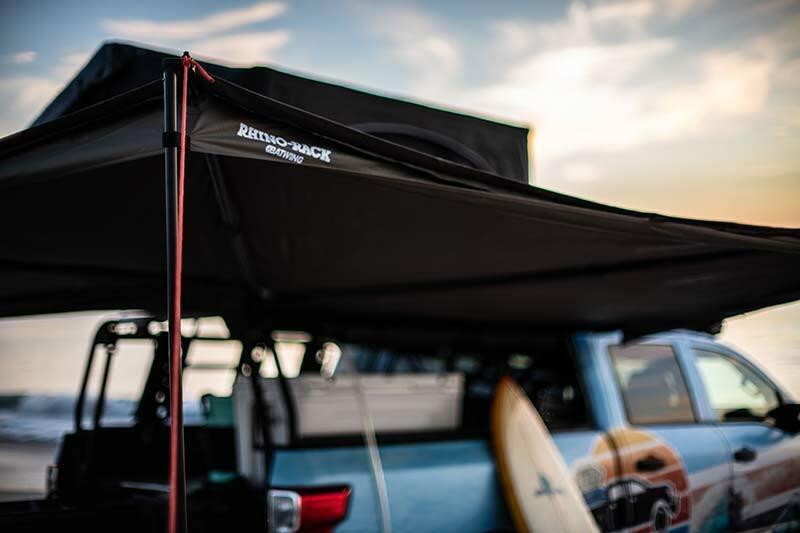 As previously mentioned, a Road Shower rack mounted solar shower and teak wood deck is incorporated while a Rhino-Rack Batwing awning provides shade while a Yeti 125-quart cooler will keep the beverages cold. 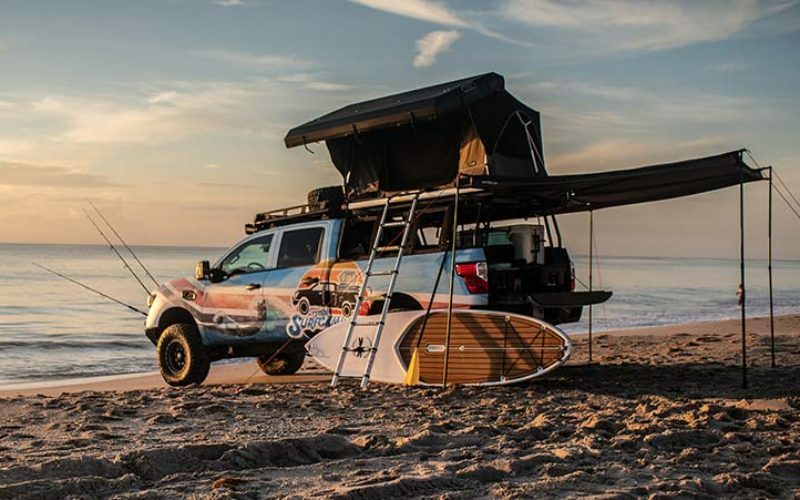 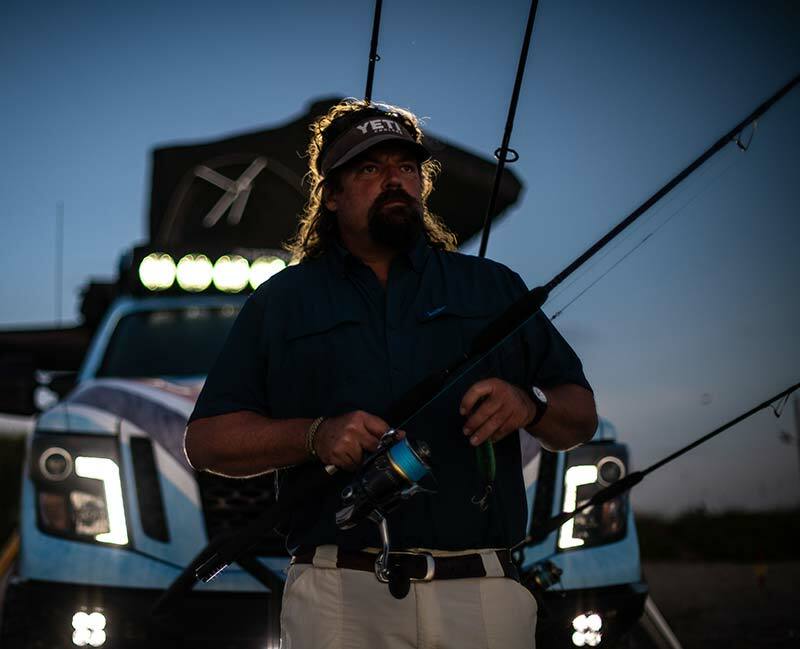 The truck will first appear at ICAST and then will head out west to the Supergirl Surf Pro in Oceanside, California on July 27th to the 29th.